This page contains quick links to a number of useful Occupational Health and Workplace Safety documents and websites, many of which can be difficult to locate. Test and Tag Regulations. 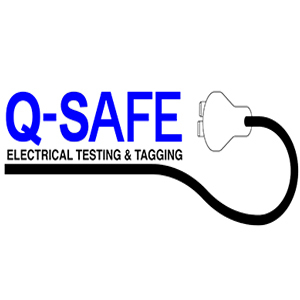 Changes to AS/NZS 3760 in 2010 now require that all new-to-service electrical equipment be visually inspected and tagged appropriately. This document has the necessary text and fields to help you comply with these new requirements. Simply print onto Avery L7063 heavy duty labels or equivalent, fill out the dates using a permanent marker and attach to the equipment. Each label is 99.1mm x 38.1 mm with 14 labels per A4 sheet. Other Avery codes for this label sheet configuration are L7163 (standard paper) and J8163 (Quick Peel™). Where old or damaged is equipment is no longer to be used, it it recommended that it be marked appropriately and placed in a quarantine area (where possible) and/or disabled to prevent use. This document has the necessary text and fields to help you comply with these recommendations. Simply print onto Avery L7063 heavy duty labels or equivalent, fill out the fields using a permanent marker and attach to the equipment. Each label is 99.1mm x 38.1 mm with 14 labels per A4 sheet. Other Avery codes for this label sheet configuration are L7163 (standard paper) and J8163 (Quick Peel™). A WorkSafe Victoria step by step guide which features guidance and practical tools such as a safety action plan and check list to assist workplace safety. Whatever industry you’re in, think about safety the same way you think about product development, distribution, marketing, sales targets or any other management issue. Plan for it, invest in it, manage it and regulate it. A WorkSafe Victoria guide to office safety, incorporating ergonomics, hazardous substances, computers and psychosocial factors amongst others. A WorkSafe Victoria guide to help small business employers make their workplaces safer. It focuses on 12 workplace hazards WorkSafe Inspectors regularly come across during visits to small business. It offers practical advice on how to identify and resolve these common workplace health and safety hazards. The Victorian OH&S Act in lawyer-friendly form. The Electricity Safety Act in lawyer-friendly form. Test and tag process are structured in a way to meet all the Test and Tag Regulations of Australia. And also to check the functionality of your equipment's.